Our partner HealthStream serves 4.5 million healthcare employees for workforce development, training & learning management, talent management, credentialing, privileging, provider enrollment, performance assessment, and managing simulation-based education programs. In their Second Opinions podcast, they talk to industry experts and leaders about issues impacting healthcare, hosted by Brad Weeks, an expert in healthcare measurement, accountability and performance improvement. He’s joined us for our webinars and we always enjoy our engaging discussions. He was kind enough to ask us to join him for Second Opinions and it was a blast! We covered a wide range of topics – from HR establishing a culture of patient safety and patient-centeredness to a new emphasis on behavioral competencies like emotional intelligence to some misconceptions about the use of personality/behavioral tools in the hiring process. Below are some highlights from our discussion. The whole podcast can be heard here. Brad Weeks: Why did you move from advising hospitals on service line strategies to a focus on talent? 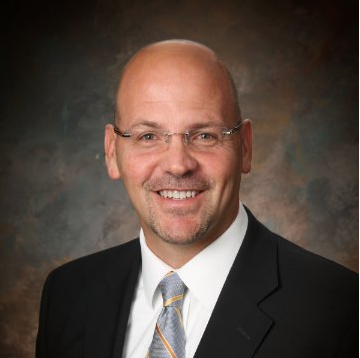 Bryan Warren (me): After practicing healthcare and employment law, I went to work for the consulting division of Zimmer Orthopedics, focusing on physician-hospital alignment and service line strategies. I came to Select International 7 years ago. In my work with hospitals, I saw that talent - specifically behavioral and leadership skills - were the key differentiator in successful service lines. I wanted to focus on that variable. How do hiring systems support efforts to build a particular culture? They help to define culture. The concept of culture is too vague. This is a mistake we commonly see, especially in healthcare. Companies like Toyota avoid this mistake by creating a hiring process that very specifically defines the culture they want AND the behaviors that support that culture. They hire people with those behaviors, then they reinforce those behaviors on a day to day basis. They help to define desired behavioral skills. When we build a hiring system for a hospital, we target specific behavioral skills. For safety, it’s conscientiousness, attention to detail and locus of control. For patient-centric care, it’s service orientation, adaptability, emotional intelligence, compassion, and collaboration. An example: Children’s Hospital of Pittsburgh built a really impressive new hospital, but a new building doesn’t change a culture. So, they not only defined their culture but defined the initiatives that would build the culture they wanted and incorporated it into their 5-year strategic plan. A new approach to employee selection was part of their strategic plan and they’ve had great success – they built and maintain a culture that is truly patient and family-centered, they improved patient satisfaction scores and employee engagement scores, and now the entire health system has adopted their approach. How do you approach defining competencies in healthcare, and how does your definition perhaps differ from the norm? Focus on behavioral competencies. Ten years ago, any discussion about competencies in healthcare began and ended with Joint Commission competencies. Other industries, decades ago, realized that behavioral competencies are probably more predictive of job performance. Nurses, other clinicians, and front line staff rarely fail because they don’t have the technical skills or knowledge, but because they aren’t adaptable, or don’t have enough emotional intelligence. An example: We have a client that, at one point, would not consider a candidate to work in dietary unless they had healthcare experience. We helped them to define the specific behavioral competencies that predicted success on the job, then built a hiring system targeting those behaviors. (They like to tell the story of Dan the Baker who was working in a bakery but wanted to do something different.) Before, the client would not have even interviewed this candidate because he had not worked in healthcare, but with the new system, they interviewed him, hired him and he turned out to be an outstanding employee and loved helping patients – so much so that he went back to school, got his nursing degree and now is an outstanding nurse. They’ve changed the way they look at candidates. Let’s talk more about the competencies that drive the patient experience and patient safety. How should healthcare organizations be defining and measuring them? Start by defining the behaviors of employees who are patient-centered. 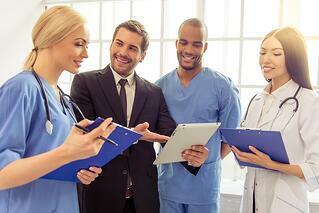 The patient experience has been the big driver of a new focus on behavioral competencies. We once had a hospital CEO call us because he’d tried every program to move the patient satisfaction needle without success. It came to him that he needed to hire staff that had, in his words, “the caring gene” – that’s a great concept, but unfortunately, there is no DNA test for “the caring gene." What we can do, however, is define the behaviors and behavioral competencies of staff who ARE patient-centered. We can do that through research, surveys, observation and focus groups where we can measure things like service orientation, compassion, and emotional intelligence. At the same time, we want to measure dependability because we want people who will show up and do the job! An example: In other industries, safety competencies are taken very seriously. Daily, leadership defines the behaviors they expect: use the hand rail going up steps, put on a hard hat EVERY time you get out of a service truck, etc. In health care, we talk about patient safety but we need to be intolerant of people who don’t follow universal precautions or hand washing procedures. What are leading organizations doing to select and develop front line staff, managers, nurses, and physicians, and how are these activities more likely to help you build/sustain high performing cultures? Use job-specific behavioral competency assessments. As an example, let me talk about two recent hospital start-ups. Both were part of larger systems but wanted to build a unique culture. We sat down with senior leadership and defined the culture they had in mind. We then built an organization-wide behavioral competency model and selection systems targeting those behaviors. We hired every leader, manager and front line staff with our tools, targeting those behaviors. We trained recruiters and hiring managers to interview for those competencies. We used job-specific behavioral competency assessments (NurseFit for nurses, Allied HealthFit and ServiceFit for Healthcare for front line staff, Select Assessment for Healthcare Leaders, etc.). A few years after opening, each of these hospitals has the top patient satisfaction and employee engagement scores in their respective systems. There was a cover story by Time Magazine in 2015 that discussed the importance of psychometric testing. In particular, it covered how seemingly strange questions like “do you understand why stars twinkle?” and “would you rather read than watch TV?” can help predict an employee’s success in their role. What does the science and literature say about the power and effectiveness of psychometric testing in employment? The field of I/O psychology is NOT new, and personality testing has been used in the military, professional sports, and other industries for decades. Some of the examples were a bit odd. They were trying to be provocative. While these questions are part of some psychological tests, they aren’t good examples of the type of behavioral items you’ll see on a tool designed for selection. No single question predicts anything. However, decades of research demonstrate that constructing a series of questions taken together will predict work behaviors. Our Research and Development team performs dozens of validation studies each year – comparing scores on these types of tools to on-the-job performance. Avoid generic personality tests, for instance, the Meyers-Briggs, when you are looking at hiring tools. You need to evaluate specific behavioral competencies on how well they predict work behavior. As an example, my own profile shows that I score low on attention to detail – that’s important because there are certain role/jobs that will be a challenge for me. Imagine the nurse or physician who is driven, motivated and compassionate. He/she cares about the patient, but is low in emotional intelligence and collaboration – does he/she fit what you are trying to accomplish? How can we position them for success? We look forward to joining Brad for more interesting discussions! (Also – join us next month in Chicago for Leap HR! I’ll be joining a panel talking about healthcare leadership!) If you are considering improving your healthcare hiring system and using behavioral employee assessments, or just learning more, give the podcast a listen.